It is distinctive in its appearance, with a long neck and legs, and can run at up to about 70 km/h, the fastest land speed of any bird. The ostrich is the largest living species of bird and lays the largest eggs of any living bird. The ostrich has the largest eye of any land animal. One egg is equivalent to about 22 chicken eggs. 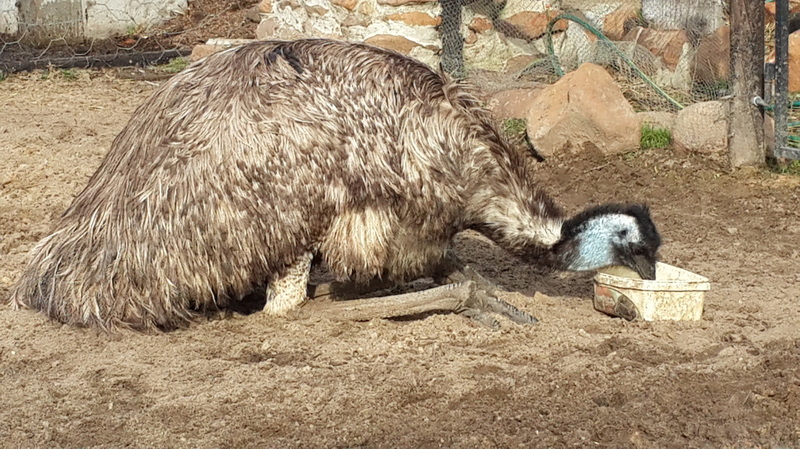 The emu is the second-largest living bird in the world by height, after its ratite relative, the ostrich. It is endemic to Australia where it is the largest native bird. The colour of the eggs range from a medium green to a dark green with some having very smooth glasslike textures. The eggs are edible consisting of approximately 10 chicken eggs. The blue or Indian peafowl are originally of India and Sri Lanka. They are the national bird of India. The term peacock is properly reserved for the male; the female is known as a peahen, and the immature offspring are called peachicks. The tail makes 60% of the body length of the peacock. They are among one of the largest flying birds. The wing span is about 4.6-5 feet. Be on the look-out for our white peahen. Indigenous to South Africa, the yellow-billed duck is a dabbling duck which is a resident breeder in southern and eastern Africa. The South African shelduck breeds in southern Africa. Geese are waterfowl belonging to the family Anatidae. In general, ganders are white and females are either entirely grey, or pied grey and white. A goose will mate for life. The female goose always builds the nest. The female goose lays 1 egg each day, until a full clutch of about five eggs is obtained. The wood duck or Carolina duck which is a species of perching duck found in North America. We have 2 main species – the red golden pheasant and the Lady Amherst pheasant, native to south-western China and Burma. The rain quail or black-breasted quail is found in the Indian subcontinent, Pakistan, India, Nepal, Sri Lanka, Thailand, Cambodia and Vietnam. The guinea fowl are native to Africa, The helmeted guinea fowl is capable of strong flight, but it is mainly terrestrial often choosing to run rather than fly. It typically roosts in trees. Pairs remain monogamous. Enjoy the aviaries and the beautiful array of over 30 species of birds flying in large enclosures. 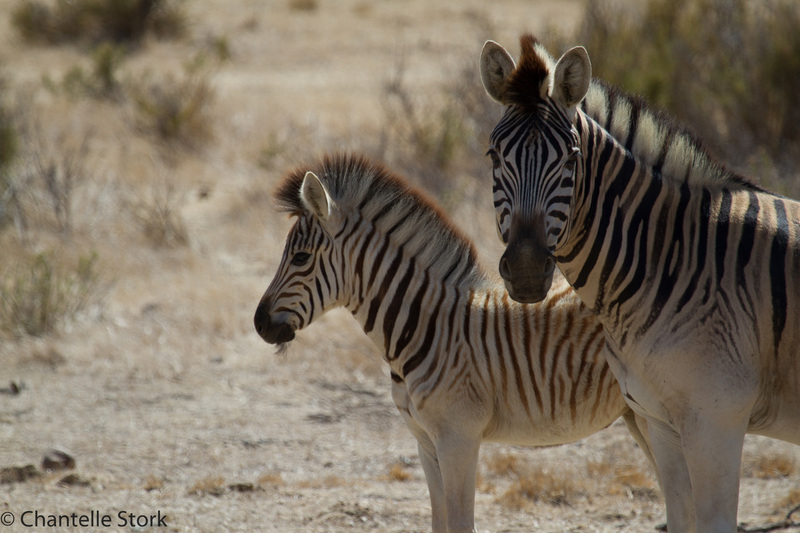 These zebra are from the Grootepost Quagga breeding programme, so they have fewer stripes than the typical Burchells Zebra. The Burchell’s zebra is a southern subspecies of the plains zebra. A zebra’s stripy coat can disperse more than 70% of incoming heat. A zebra's stripes act like an equine fingerprint - each pattern is unique. Foals recognise their mothers by the pattern of their stripes, as well as by scent and call. We have 4 zebra – Sally, the filly was born in 2014, and our latest arrival – Billy-Bob – was born in August 2016. The Llama is a domesticated South American camelid, widely used as a meat and pack animal by Andean cultures since pre-Hispanic times. The height of a full-grown, full-size llama is 1.7m to 1.8m tall at the top of the head, and can weigh between 130 and 200 kg. A baby llama is called a cria. Llamas typically live for 15–25 years. They are very social animals. The wool produced by a llama is very soft and lanolin-free. Llamas are intelligent and can learn simple tasks after a few repetitions. An alpaca is a domesticated species of South American camelid. There are two breeds of alpaca; the Suri alpaca and the Huacaya alpaca - we have the Huacaya breed. Alpacas come from southern Peru, northern Bolivia, Ecuador, and northern Chile. Alpacas are considerably smaller than llamas, and unlike llamas, they were bred specifically for their fibre. The horses are all rescues from euthanasia and from owners unable to care for them any longer. We have a mixture:. Arabs - one of the oldest breeds, the Arabian developed in a desert climate and was prized by the nomadic Bedouin people, often being brought inside the family tent for shelter and protection from theft. ii) Thoroughbreds - considered "hot-blooded" horses, known for their agility, speed and spirit. We also have 2 carthorse rescues. The springbok were given a home to prevent them from being hunted. The springbok is extremely fast and can reach speeds of 88 km/h and can leap 4 m through the air. Donkeys were first domesticated around 4500 years ago. In those days having a donkey was a status symbol, almost like having a Rolls Royce today. Donkeys can live for over 50 years. The 2 chocolate brown donkeys [Eee & Aaw] came with the farm, and the light greys [Pedro & Delilah] were given a home. The males [boars] are smaller than the females and have ‘tusks’ on their bottom jaw. The pot-bellied pig is a breed of domesticated pig originating in Vietnam. Potbellies have poor eyesight, but their sense of hearing & smell are exceptional. The Cameroon goat originated in the Cameroon Valley of West Africa. Goats were one of the first animals to be tamed by humans & were being herded 9,000 years ago. Goat meat is the most consumed meat per capita worldwide. 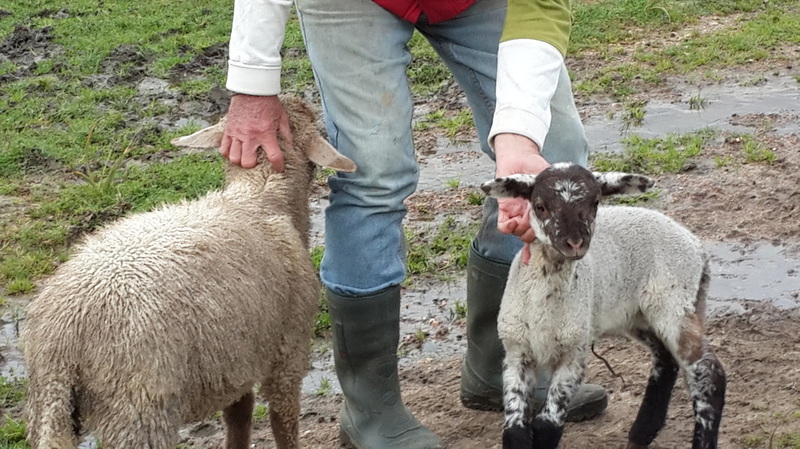 We have a mixed flock comprising of Damara - a breed of domestic sheep and was originally from Eastern Asia and Egypt. and Merino - prized for its wool. The breed is originally from south Portugal. Its wool was already highly valued in the middle Ages. Today, Merinos are still regarded as having some of the finest and softest wool of any sheep. The Dorper is a South African breed of domestic sheep developed by crossing Dorset Horn and the Blackhead Persian sheep. Join today or email us to become part of our family. 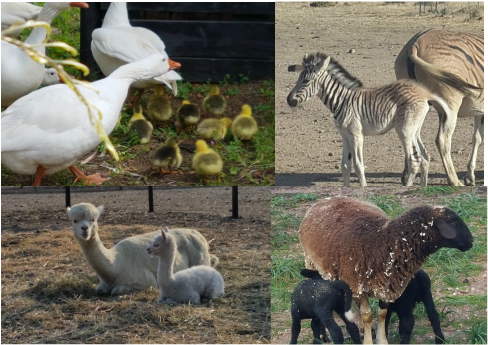 Adopt an animal and support all the animals in Fynbos Farm’s care. 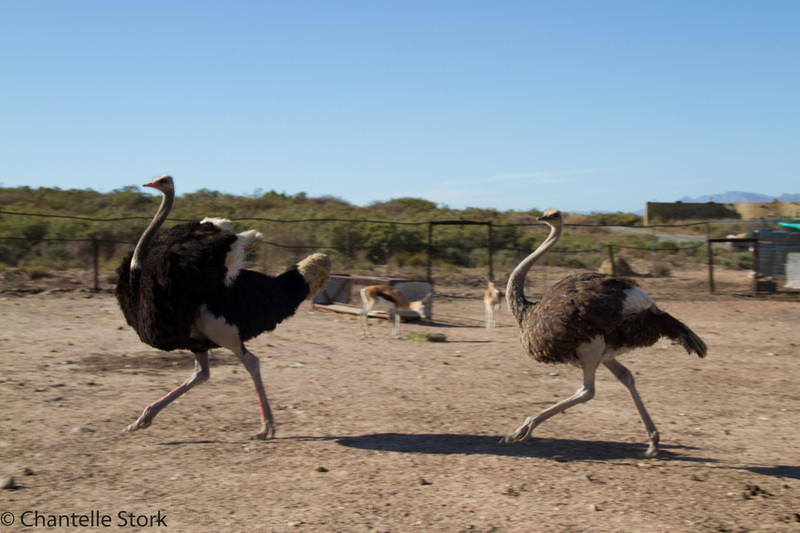 Your symbolic animal adoption helps care for the more than 150 animals (including mammals, birds, invertebrates, amphibians and reptiles) in Fynbos farm’s care. Adopting an animal is a fun and rewarding way to support Fynbos Farm’s role in providing abandoned, abused or unwanted animals with a safe home and wonderful care. Your animal will still live at the farm, but you’ll go home knowing you’re supporting the farm and its purpose – to inspire and act for our furry and feathered friends who do not have a voice. Adoption fees help us take good care of the animals, expand and maintain their enclosures and camps, and give them treats and spoils. Remember, adoptions are symbolic. 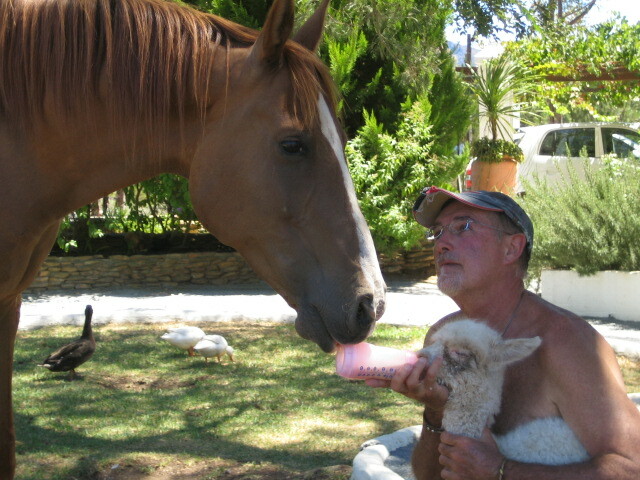 All adoptable animals may have many adoptive parents and all adopted animals must remain in their Fynbos Farm homes. Individuals, Schools, Clubs and Corporations are all welcome in our Adopt an Animal "family". We have extended the aviaries giving the birds more flight area. We have also taken on more feathered and furry friends, from African Grey parrots, to Squirrels, to Guinea pigs and to Guinea Fowl. We have had a bumper year with babies - llamas, alpacas, sheep and our goats have all been busy. The geese, ducks and turkeys have also increased in numbers. We have had adoptions from all over the country and some overseas people, for which we are very grateful to. Cant wait to see you soon at Fynbos Guest Farm!!! It's soooo easy! Complete the following ﻿form ﻿and press submit, alternatively simply send us an email and we will reply with some questions and the necessary bank details. You can either do a once-off payment which will cover you for the year, or you can arrange a debit order, and a smaller amount can be deducted every month from your account. However small or large your contribution, we know it comes from a special place in your heart and that we and the fynbos family are eternally grateful. We look forward to having you part of our family and for you to enjoy the fynbos farm stories, news and updates as much as we do!!!! Don't delay - email us on peter@fynbosguestfarm.co.za and REMEMBER to follow us on Facebook! "Until you have loved an animal, a part of ones' soul remains awakened"